Finding the perfect vacation spot when traveling with kids can be a difficult task, at best. Children want to be excited and entertained, but parents do not always want to spend their time in line at a theme park. It would be nice if fun and educational were mixed, and parents want enjoy their vacation as well as spending time with their children. but also features a variety of kid-friendly vacations. • Victoria, BC – Victoria, British Columbia, may be one of the best family travel vacation destinations in the world. Beacon Hill Children’s Farm is a petting zoo that closes each day with a goat stampede, while the Victoria Bug Zoo allows visitors to get up close and personal with over 40 species of creepy crawlies. At The Scratch Patch, kids can pan for gold, find tropical shells in ponds, and dig through semi-precious stone mountains. There are also multiple playgrounds, parks, laser tag centers, beaches, and playing fields. Of course, being on an island means there are also numerous beaches where kids and parents can relax. Visitors can also spend time on the many whale-watching expos, where they can see whales, dolphins and a host of other wildlife on land, in the air and in the water. •	Ontario – Like Victoria British Columbia, Ontario has much to offer families. Ontario Place features Soak City, Toronto’s awesome water park, as well as miniature golf, outdoor climbing structures, and other rides and attractions. And it's affordable. Canada’s Wonderland offers over 200 attractions and more than 65 rides, in addition to a 20-acre water park. It's one of the best family adventure ideas! For museum lovers, there is the London Regional Children’s Museum, the Waterloo Regional Children’s Museum. After living in Ontario for more than 8+ years, you won't want to miss the Ontario Science Center, which boasts over 800 hands-on displays. 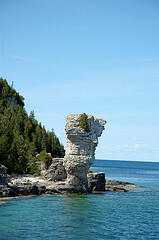 The Metropolitan Toronto Zoo and the Rock Glen Conservation Area are also great family travel destinations. 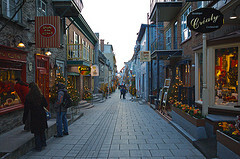 This photo is of the Artists we met in the quaint streets on our Quebec City Vacation. It is so charming to see Quebec Culture throughout the year. • Montreal Jazz Festival – What? A jazz festival where kids are not only allowed, but they are actually welcome? Montreal Jazz Festival has a large play area where play equipment is shaped like musical instruments, such as the guitar ladder and trumpet slide. There are also face-painters, jugglers, clowns and acrobats to help keep the kids entertained. Better still, the fun and educational mix with The Little School of Jazz, an interactive show that teaches kids about jazz using a cat mascot, live musicians, and songs the kids already know from their favorite television shows. Finding a family vacation in Canada is not nearly as challenging as narrowing the vacation plans down to fit your schedule. Between the host of activities to entertain, educate and excite them, and the destinations that allow for real family time, Canada proves to be an ideal adult vacation spot and one of the best family vacation spots. As parents of three kids, we have tons of ideas for you and your family. 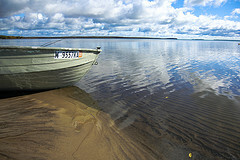 Family Spot Vacation, Family Travel, Find A Vacation Online!